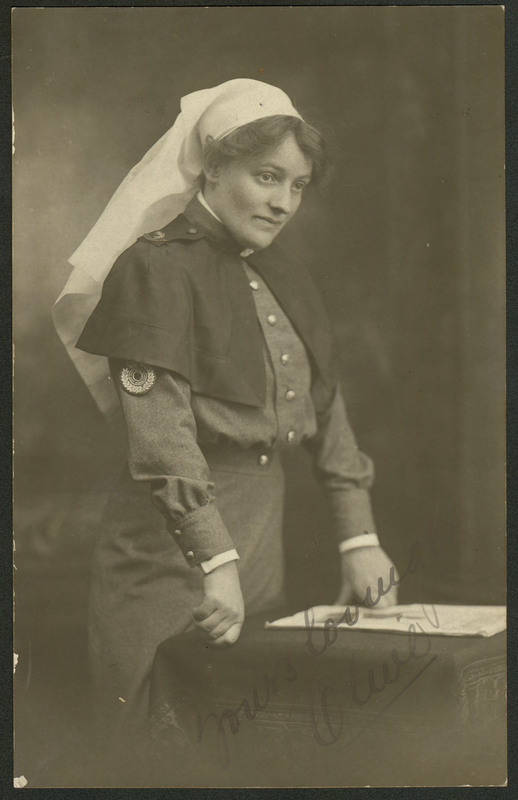 Additions to the Geelong and District database are quite a mixture but it would be hard to go past the story of one of our local nurses who served during WWI – Sr Olive Laura THOMAS. Looking at the Geelong Infirmary and Benevolent Asylum WWI Roll of Honour [Visions & Realities: A history of the Geelong Infirmary & Benevolent Asylum], the list of nurses includes Nurse M J THOMAS and Nurse O THOMAS. It is possible that the first should be Nurse M R THOMAS as two siblings – Margaret Rosetta THOMAS and Olive Laura THOMAS – left Melbourne on 6 December 1916 on the ship Orsova. Margaret, aged 31, enlisted 24 August 1916 and Olive, aged 25, enlisted 8 September 1916. Both girls served in France. Olive returned to Australia 26 November 1918 and resigned 19 December 1918 “due to family reasons” – perhaps to support her recently widowed mother. Margaret returned 4 January 1920. Both siblings ended up marrying. Margaret died in 1957 and Olive in 1968. The beautiful photo of Sr Olive Laura THOMAS is from the State Library of Victoria Collection.